If you don’t have a Social Security number, do you really exist? About 480 million Social Security cards have been issued since the system began in 1936 – and by now, the numbers on that card define our identity for everything from hospital admissions to getting a new car loan. It’s the closest thing in the US to a national identity card – and anyone who steals those numbers on the card takes your identity along. But the Social Security number system didn’t start out that way. It was just a filing system to keep track of Social Security applications, and the numbers we faithfully recite from memory in all sorts of situations originally only indicated three things: the area where the card was issued, a group number that narrows the pool of cardholders, and a set of four unique serial number digits at the end. That number was originally intended only to identify applicants in the Social Security system itself. 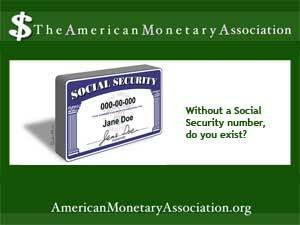 Today, though, the Social Security number (or SSN) turns up everywhere, an easy identifier in all kinds of transactions. It can be changed, but only with some difficulty and legal petitioning. And once it’s hacked, the number holder’s entire identity can be compromised. Social Security numbers rank among the top targets for identity theft, say cybersecurity experts. Hijacked numbers can be used to create new identities, or to divert the benefits of someone who already receives Social Security. Or they can be used to get access to credit card accounts and other kinds of financial transactions. Social Security fraud may also be a family affair, with a friend, relative or even caregiver taking advantage of the easy availability of someone’s Social Security card or number. But regardless of the way the theft happens, a victim may not know it, until questionable credit card bills start rolling in, or bank accounts are suddenly empty. How to protect that precious set of nine numbers? Fraud experts say that it’s important to keep your Social Security card secure – and don’t carry it in your wallet unless absolutely necessary. Monitor credit reports for signs of unauthorized activity. And report a stolen card right away. The same advice applies for family and friends of the vulnerable elderly, whose SSNs are often co-opted by caregivers and used to siphon money from a person’s accounts or do other kinds of financial transactions. Identity theft experts caution that in today’s fast moving digital world, the chances of catching garden-variety identity thieves are pretty small. But reporting a theft, or a suspected theft, is still important, and there’s help available for the time consuming processes of shutting down compromised accounts and protecting assets.